• 2779 sqft , 4 bath , 4 bdrm 2 story – FOR SALE USD 735,000 . This beautiful Cape home blends antique character with modern amenities. Recent renovations include custom kitchen with stainless appliances, vaulted ceiling, island and copper farmer’s sink, new powder room and a master suite complete with gorgeous marble master bath with walk in shower, laundry and walk in closet, and split AC/heat and fireplace. Historic features include 6 fireplaces (1 with gas insert), original moldings and wainscoting, built ins and wide pine flooring, and even a secret cupboard. Enjoy the spacious floor plan with large rooms perfect for entertaining and family celebrations, 2 staircases and an outside shower. New cedar roof, gas heating system, windows, septic, central vac and sprinkler system make this home easy to live in. 2 car garage with separate workshop. Walk to conservation land for hiking and kayaking. Brick patio, stone walls, and mature perennial gardens in a private setting near all the charm of Harwich Port complete this one of a kind property. • 2779 sqft , 4 bath , 4 bdrm 2 story – FOR SALE USD735,000 . 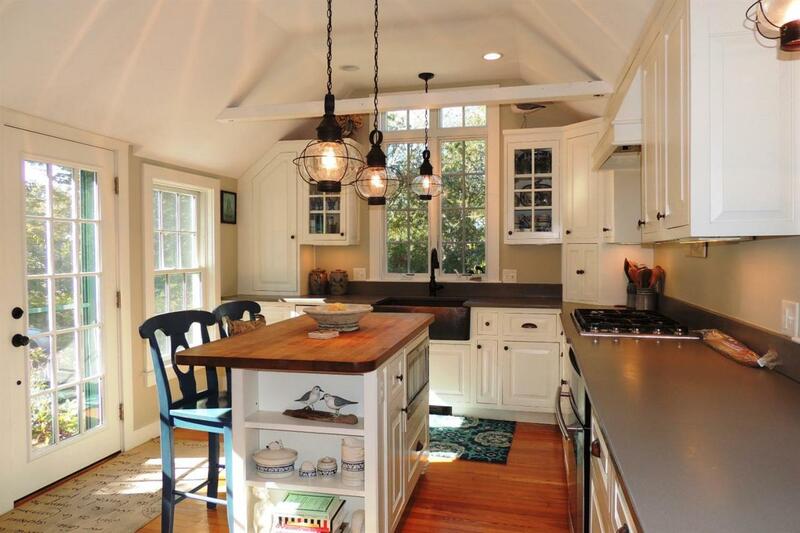 This beautiful Cape home blends antique character with modern amenities. Recent renovations include custom kitchen with stainless appliances, vaulted ceiling, island and copper farmer’s sink, new powder room and a master suite complete with gorgeous marble master bath with walk in shower, laundry and walk in closet, and split AC/heat and fireplace. Historic features include 6 fireplaces (1 with gas insert), original moldings and wainscoting, built ins and wide pine flooring, and even a secret cupboard. Enjoy the spacious floor plan with large rooms perfect for entertaining and family celebrations, 2 staircases and an outside shower. New cedar roof, gas heating system, windows, septic, central vac and sprinkler system make this home easy to live in. 2 car garage with separate workshop. Walk to conservation land for hiking and kayaking. Brick patio, stone walls, and mature perennial gardens in a private setting near all the charm of Harwichport complete this one of a kind property.